Hoisin sauce is a Chinese sauce that is thick and pungent and is often used as a glaze for grilling meat and vegetables. 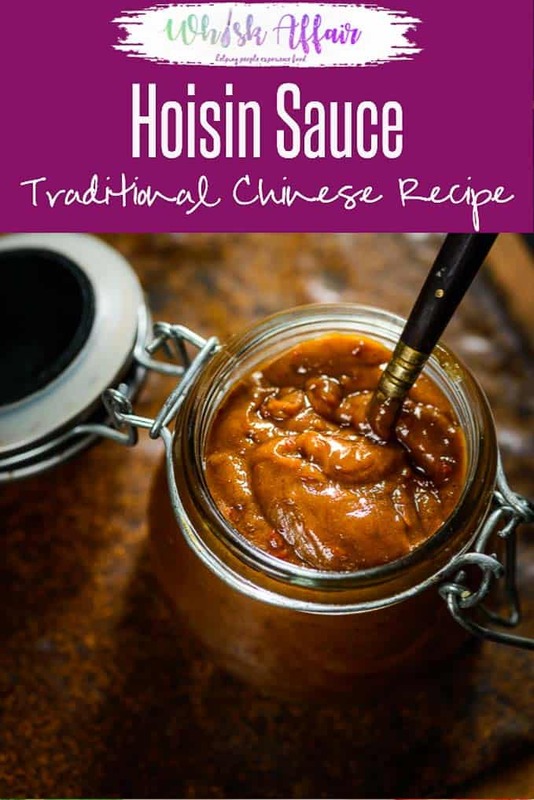 This Best Homemade Hoisin Sauce Recipe makes a sauce that is definitely better than the store bought one and is just a whisk away. Here is how to make Hoisin Sauce at home. Asian cuisine is known for its sauces. Unlike Indian and other parts of Asia, Chinese cuisine does not involve much cooking of ingredients. There is plenty of use of sauces however, from the sweetish fish sauce, to the spicy chilli tomato sauce and even the regular tomato sauce or ketchup. I am sure you will agree with me? Hoisin Sauce is a Chinese sauce that is thick, pungent and with depth. It is often used as a glaze for meat dishes, and often vegetarian stuff like tofu and paneer too. 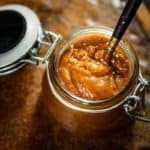 Since I like to make my sauces and other spice mixes from scratch, I did some research on how to make Hoisin Sauce at home and after reading it through, I came up with this homemade recipe. This recipe calls for basic ingredients which are easily available and the result is very close, infact better than any store bought version. I came across some recipes which uses peanut butter and molasses in their sauce. From the extensive research that I have done to come up with this recipe, no such ingredients are used to make this sauce. The sauce is primarily made up of soy sauce, garlic, Chinese five spice powder and most importantly fermented black beans. I used my homemade five spice mix and it gave a fabulous aroma to the sauce. Although traditionally, soya beans were toasted, mashed and fermented for this, use of store bought black bean sauce makes this infinitely better and easier. Some people also replace black bean sauce with miso paste and it works like a charm too. The sauce is very easy to prepare, since it just needs the mixing together of all the ingredients. Although hoisin sauce is available in market these days, it’s very economical to make at home and you can be sure of the quality and the ingredients used and plus it tastes much better than the store bought version. This Sauce is used in the preparation of Asian Style Garlic Tofu, in the marinade for General Tso’s Chicken recipe and in many Chinese chicken dishes. Can Hoisin sauce be substituted for Soy Sauce? Hoisin Sauce is a mix of ingredients with Soy Sauce being one of it. There is much depth of flavours in Hoisin sauce as compared to just Soy Sauce. Does Hoisin Sauce have gluten? Soy Sauce, which is one of the ingredients in this sauce has gluten in it. If you are planning to make gluten free Hoisin sauce, use gluten free Soy Sauce that is tamari to make it. Can you eat Hoisin Sauce when pregnant? Some people say that eating soy sauce during pregnancy is not good for you however no such research has been proven yet. However, I would suggest you to consult your physician before deciding to eat Soy Sauce or Hoisin Sauce during pregnancy. Can you freeze Hoisin Sauce? This sauce freeze very well. You can make a big batch and freeze for 3-4 months and use when required. How long does Hoisin Sauce last? In refrigerator, it will keep good for up to a month. 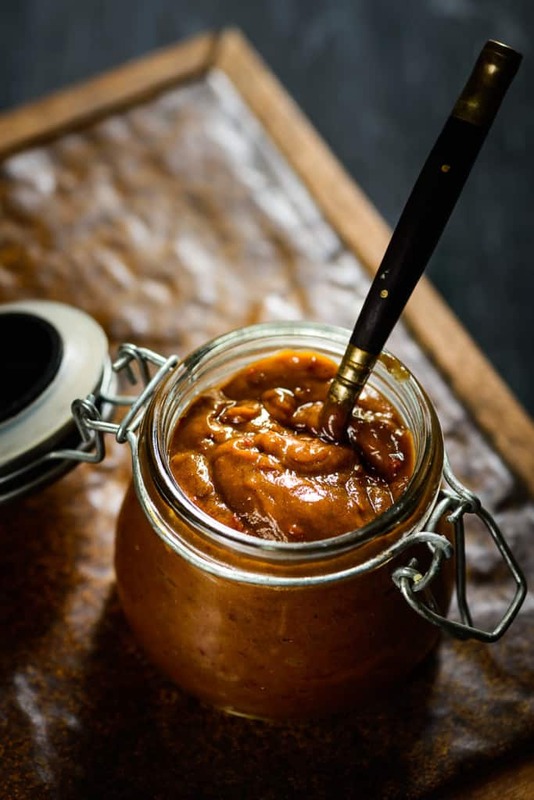 How to make Vegan Hoisin Sauce? I have never tried a vegan version of this sauce but this recipe I came across at The Spruce Eats looks very promising. Do give it a try and tell me how you liked it. Where to use Hoisin sauce? Hoisin sauce is a Chinese sauce that is thick and pungent and is often used as a glaze for grilling meat and vegetables. Combine all the ingredients in a bowl and whisk vigorously. Transfer the sauce in a clean glass jar. Store in refrigerator for up a month. Nice blog and lovely recipes. Can you please tell me how the measure in cups this hoisin sauce will come up to if the same is made as per the quantity of the ingredients mentioned in your Hoisin sauce recipe. Thnx Alita. It will be approximately 1/2 cup. Hi Atila, this will make approximately /12 cup of sauce.